One of my favourite things in life is cooking brunch on Sundays. I love it because it’s a way to relax on what is usually my only day off during the week. I go crazy for avocados, pancakes, waffles, shakshoukas and you can usually see my brunches posted on my Instagram feed. 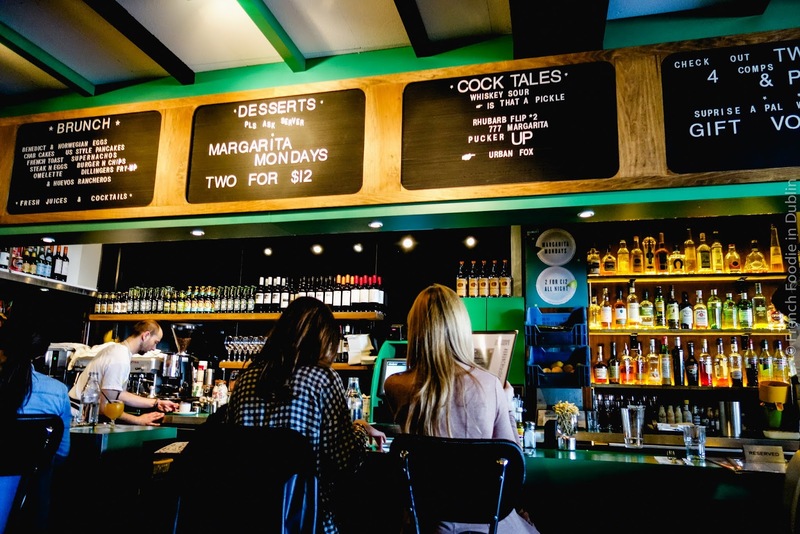 Dillinger's is an American style diner inspired restaurant and if you pay attention to the design of the place it actually looks quite similar to 777 in the layout of the place, with the long green bar across the room, the high stools and tables. It’s not a coincidence, as it’s part of John Farrell’s food empire which includes 777, Super Miss Sue, Luna and The Butcher Grill. Dillinger's was buzzing when we arrived and fortunately we only had to wait for a few minutes to be seated. 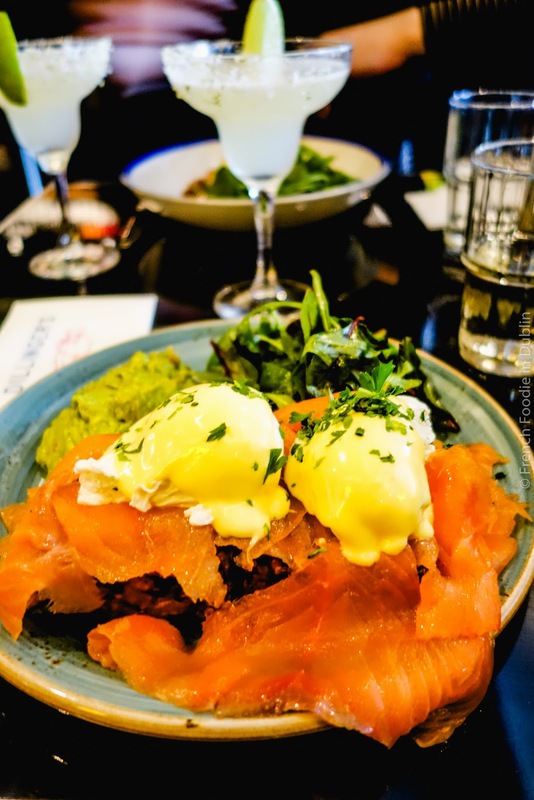 On the brunch menu you really have the classics such as American pancakes, French toast, a fry or eggy options like eggs benedict or Norwegian eggs. 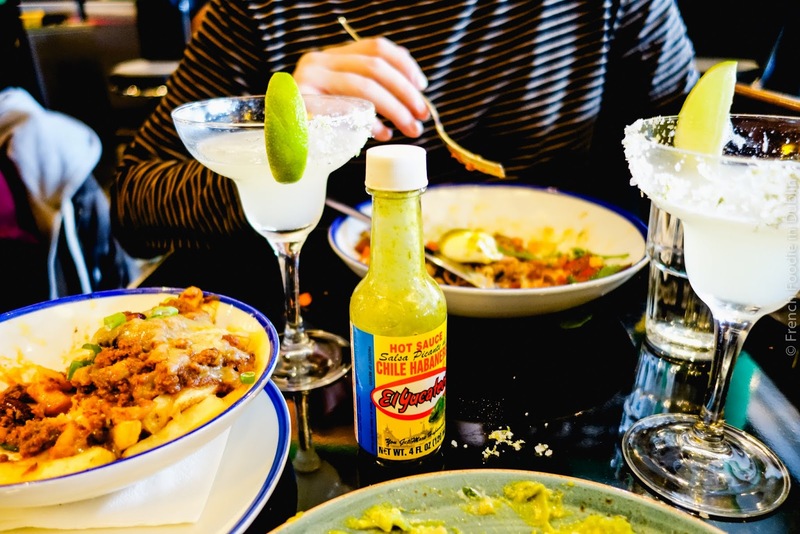 Then you have some signature dishes such as their brunch nachos, Dillinger’s burger, a merguez shakshouka and chicken and waffles. Prices range from €11 to €19 and portions are on the generous side. Because Mr. FFID is allergic to fish and I never have any at home I ordered the smoked salmon hash browns (€13). 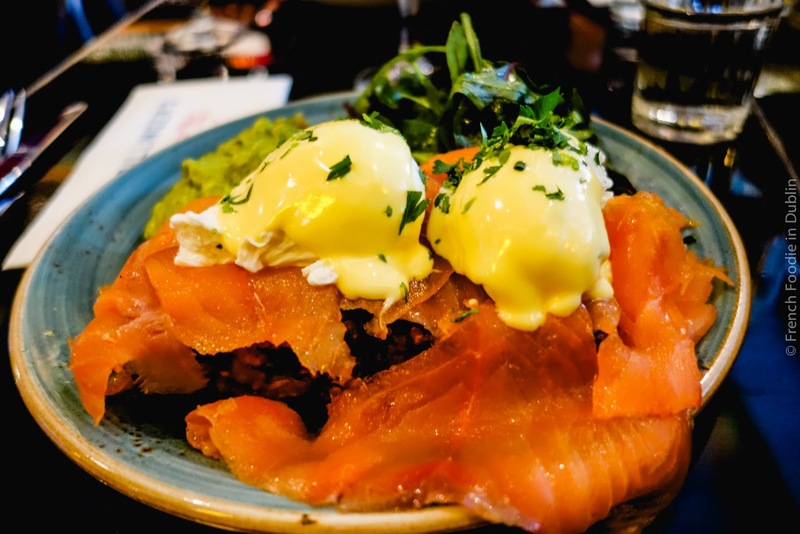 There was a massive amount of smoked salmon topped with two perfectly round eggs covered with a habanero hollandaise sauce. Hidden under all of that were two massive sundried tomatoes and spring onion hash browns which were nicely crispy on the outside served with a huge dollop of guacamole and a small side salad. Nothing fancy but a very enjoyable dish, washed down well by my margarita. 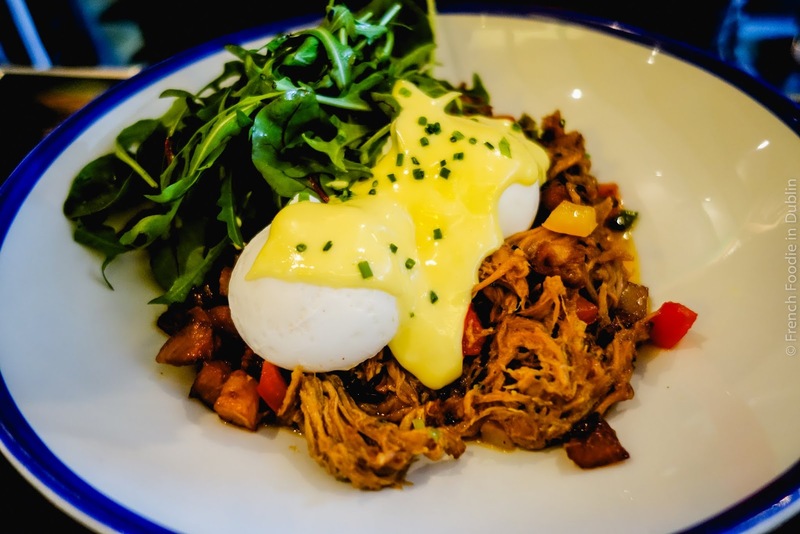 Mr. FFID’s slow cooked pork belly hash (€12.50) was a mix a succulent pork meat mixed with roasted peppers, served with poached eggs and hollandaise sauce and a small side salad. It certainly hit the spot! 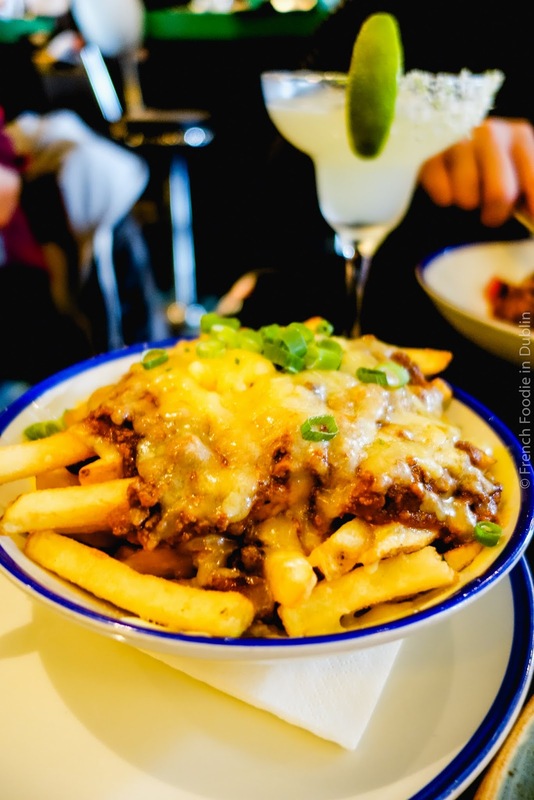 Because I was so starving when we got there, we also ordered food we didn’t really need, a portion of chilli beef and cheese fries (€5) which were excellent! I have to admit, the food defeated me. 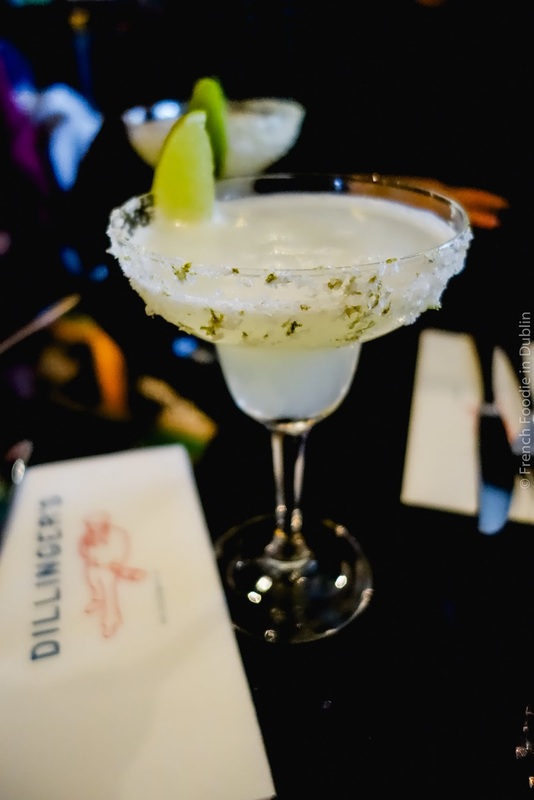 Dillinger’s is well worth a try for brunch if you’re looking for a funky spot with good tunes and a lively atmosphere. 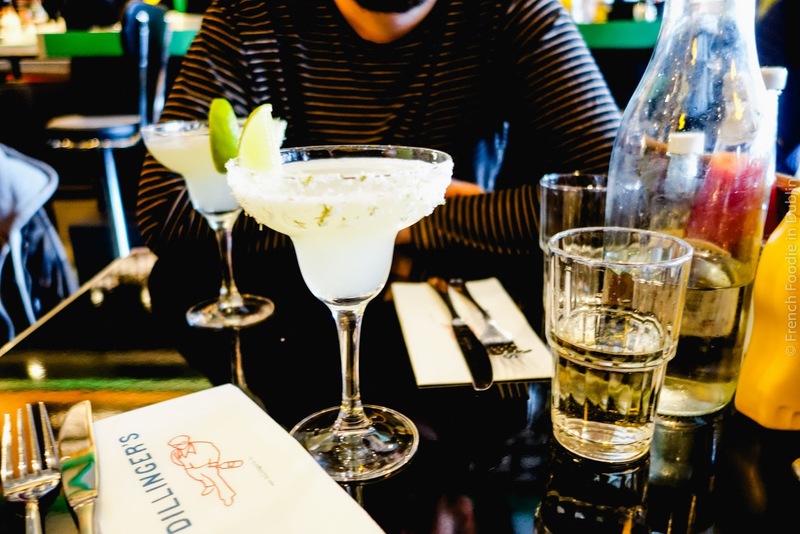 Their dinner menu is a little bit more eclectic with a mix of different cuisines featuring tuna tostados, a mezze plate, a Killer curry special, steaks, and piri piri prawns just to name a few. 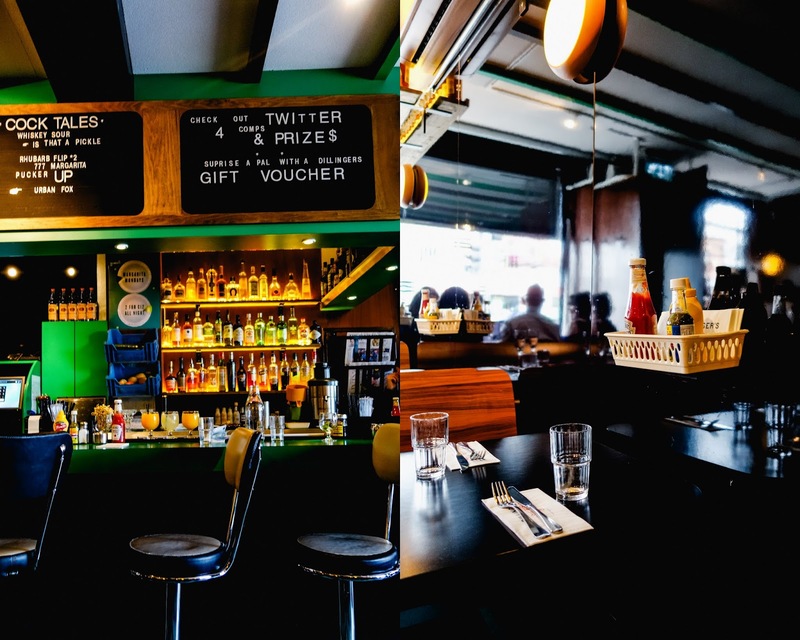 One little tip, Dillinger’s run brunch competitions on Twitter every weekend so keep an eye out online!